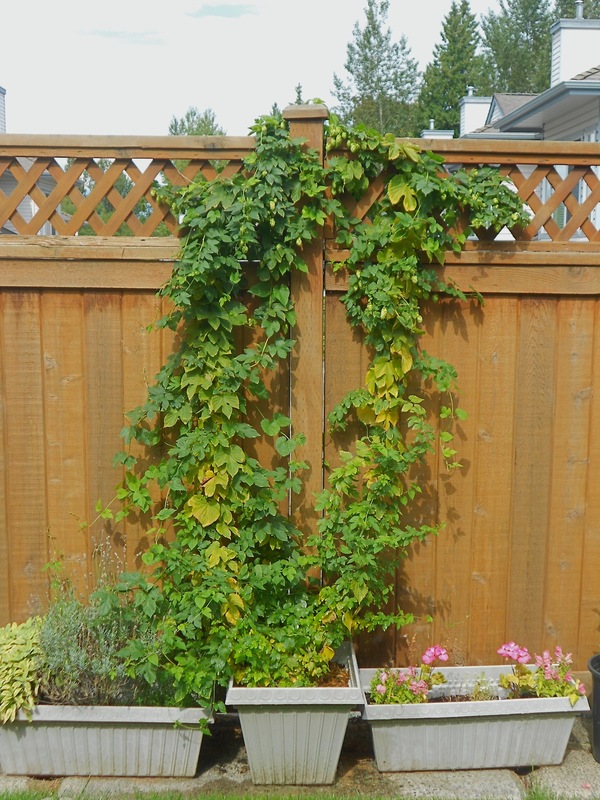 Hops in pots and pots of hops, lots and lots of homegrown hops! Sorry about the Dr. Seuss title, couldn’t resist. 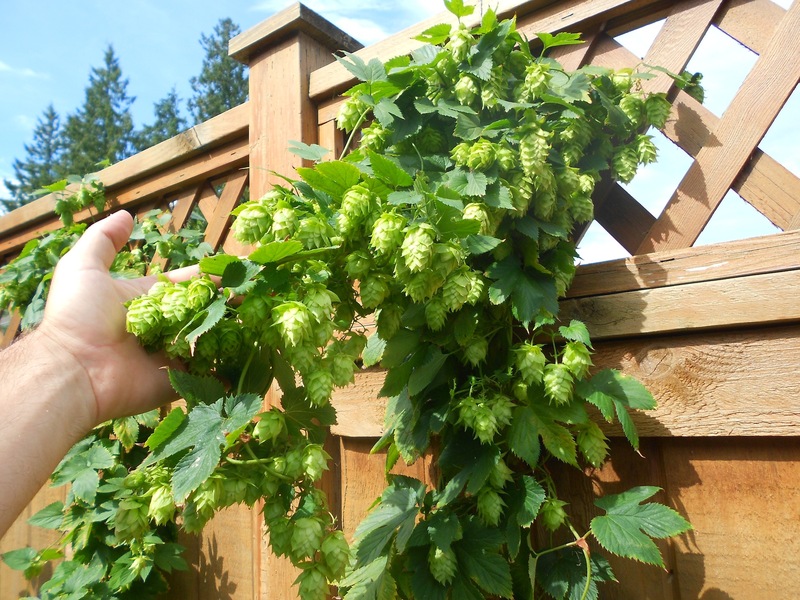 This is our second summer in our new townhouse and I’m still trying to figure out where the best place for the hops could be. 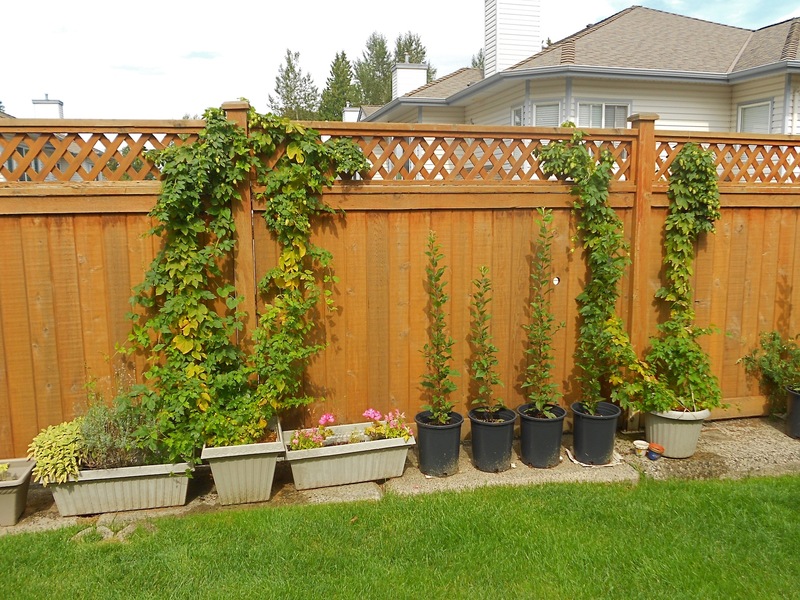 I was quite impressed with how well they did this year in pots considering that they’re sitting on cement which would get very hot in the afternoon. Also there wasn’t any place for them to climb except up and along the fence which is only six feet. 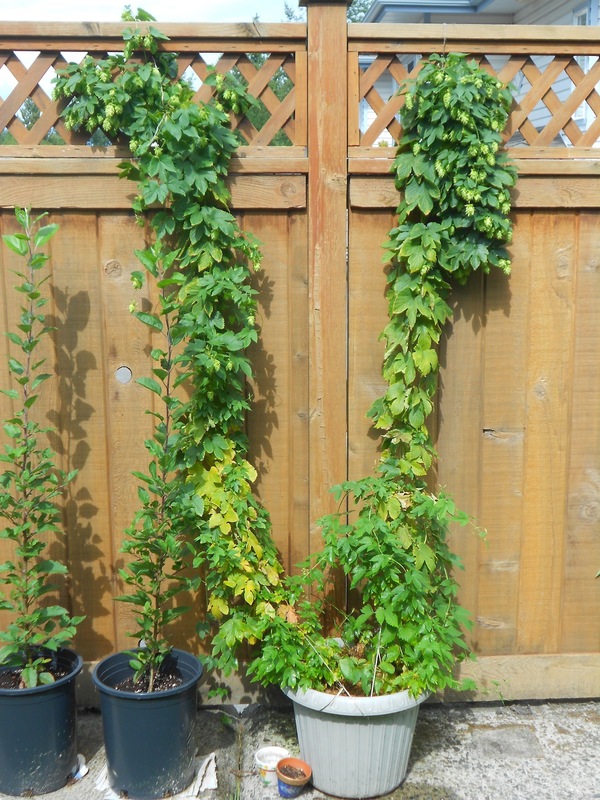 The varieties I’ve got are Fuggles and Brewers Gold which is an older plant. I gave them some fertilizer once every two weeks and I kept some moss on top of the soil so they wouldn’t dry out too fast. 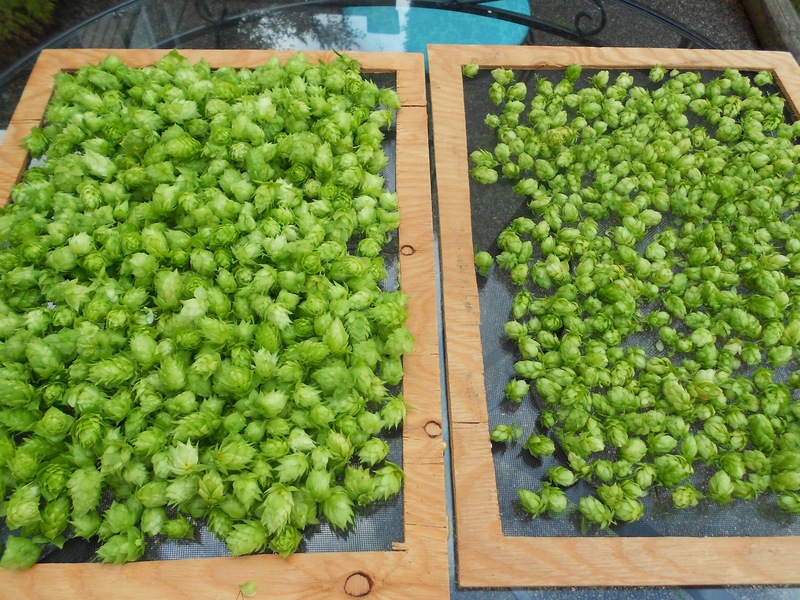 To dry the hops I’m just going to put them in the rafters of our garage where it’s nice and dark and quite warm.